The first variety from Limagrain Cereals Research Canada’s (LCRC) cereal breeding program has been recommended for interim registration. GP202 is a Canadian Western Special Purpose (CWSP) wheat that boasts high yields and the lowest accumulated DON levels among the CWSP varieties put forward for support at the Prairie Grain Development Committee (PGDC) meeting on March 2 in Winnipeg. According to a news release, low DON levels make the variety ideal for producers looking for a feed wheat variety. Other end users have also expressed interest in evaluating the variety for their purposes. It will be commercialized by LCRC partner Canterra Seeds through its network of seed grower shareholders, beginning in spring 2017. 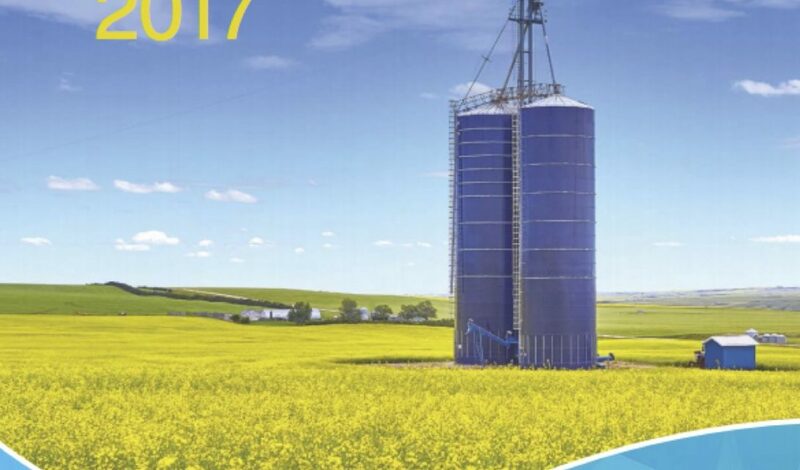 One of the most widely requested publications from Alberta Agriculture and Forestry (AF), the Crop Protection book, also known as the “Blue Book” in industry circles, is now available for 2017. A number of new fungicides have been registered for use in 2017. New foliar fungicides are available for use on canola, cereal crops and potatoes. Newly registered seed treatments are available for use on pulse crops, oilseed crops and potatoes. One new insecticide will be available in 2017. It is registered on a variety of crops including pulse and oilseed crops. Hard copies of Crop Protection 2017 are available for $12 from AF’s website. It is also available as a free downloadable pdf. Be part of the discussion as the CSGA and Canadian seed industry engages its membership online. In July 2016, the Canadian Seed Growers’ Association (CSGA) launched a one-year project to develop a new Strategic Plan. Central to the success of this project is our ability to ensure that members’ aspirations are reflected in this plan. To date, engagement with membership in the strategic plan development has been conducted through face-to-face discussions at member meetings across the country. 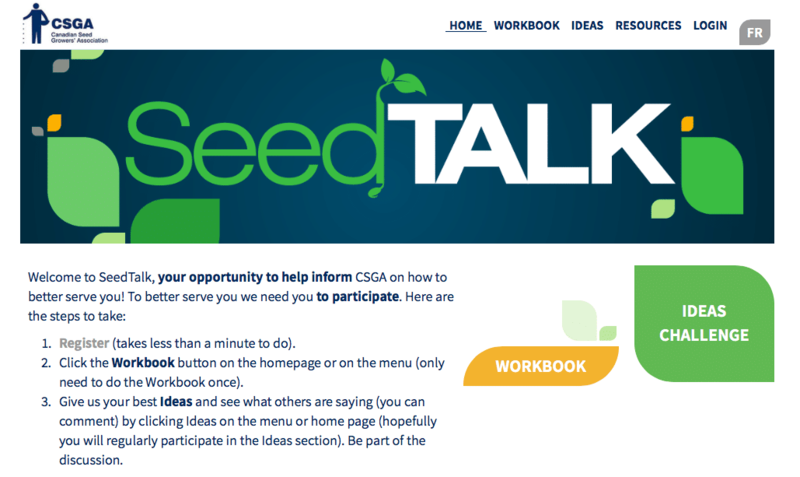 With the launch of SeedTalk, CSGA’s new interactive member engagement platform, we are now taking this conversation online to all our members. This is their opportunity to let us know how CSGA can better serve them. Our members’ ongoing participation in the SeedTalk online community will help shape CSGA policies and member services going forward. The entire world is increasingly becoming an online community, and we felt an online forum was the best way to get this very important feedback. Best of all, it’s easy. Members complete our short workbook focused on the key results areas of our draft Strategic Plan and follow up by participating in our online challenge. They have a chance to put forward ideas for us and others to review and comment, rate, and build upon others’ ideas in formulating proposals. The Strategic Plan puts significant emphasis on partnerships. In fact, potential changes to the seed regulatory system and these key partnerships were the main reason for the CSGA board’s decision to launch a strategic planning process in the first place. It was also the main reason why CSGA is coordinating its strategic planning process with another important project — the Seed Synergy Collaboration Project. The Seed Synergy project is also running an online consultation of its own and is seeking participation of seed industry stakeholders in the Seed Synergy Survey. We are encouraging our members to complete this survey before moving on to SeedTalk. We see this process as hugely valuable in helping us get the feedback we need to make our new Strategic Plan a success, and in helping the Seed Synergy Collaboration Project really take off. We look forward to seeing it take off and finding out what the coming months have in store. To take these surveys, simply visit seedgrowers.ca. Alberta pulse grower Allison Ammeter. Many seeds were planted during the International Year of the Pulses (IYP), and organizers and promoters are expecting a great harvest to follow. The world-wide, year-long campaign of the United Nations-inspired Year of the Pulses, which wrapped up at the end of 2016, far exceeded expectations in terms of connecting with billions of consumers and raising awareness of just what pulse crops are and how they can be used in a healthy and nutritious diet, say Canadian pulse industry contacts. The specific year of the campaign has ended, but officials say it created a momentum that will have a lasting ripple effect across the whole field-to-plate food network for years to come. It was only the fourth time in the nearly 60 years that the United Nations has been declaring “International Years” that a food or crop has been designated. While farmers in Alberta are well familiar with the most common pulse crops such as peas, beans, lentils and chickpeas, IYP threw the global spotlight on the crop creating interest and awareness with consumers – many unfamiliar with the term “pulses” itself, and unaware of how these crops can fit into a healthy diet. IYP 2016 was aimed at consumer awareness and education, and in North America specifically targeted the Millennial generation which covers a wide segment of society ranging from late teens to those in their mid 30’s. It is large consumer demographic concerned about proper nutrition, human health and environmental health – three areas in which pulse crops have an ideal fit. It is also a group that is very social media savvy. “The IYP campaign over the last year has exceeded our expectations in North America alone and globally,” says Bacon. “A significant indicator: as the year ended, the program had received more than three billion impressions – this refers to all types of media and social media connections – people looking for some type of information on pulse crops. It far exceeded any expectations we had, and as we continue to monitor on-line search engines and other sources, the interest continues to grow. As consumers are increasing their interest in healthier and nutritious food products, food processors are also “renovating” their processing formulations to include more pulses. He points to statistics of various food categories that show, for example, while the overall category of snack foods has seen an annual growth rate of about two per cent in the past five years, the growth of snack foods containing pulse crop ingredients has increased by more than 25 per cent for peas. Down the pasta aisle, the overall pasta growth rate increased by 0.6 per cent, while pastas containing chickpeas increased by 24 per cent; in the soup category, the overall category actually saw a 0.8 per cent decline in growth, while the segment of soups containing lentils and chickpeas had growth of 6.5 and four per cent, respectively. Along with the international and national programs, it was also a busy year in Alberta, says Leanne Fischbuch, executive director of Alberta Pulse Growers (APG). “We looked at opportunities here in Alberta that would complement and build on what was being done nationally and internationally,” she says. Efforts included having the International Year of the Pulses recognized in the provincial legislature, providing an opportunity to spend time with politicians explaining the value and importance of the pulse industry. Alberta Pulse also produced a pulse-themed calendar that was distributed to more than 5,000 people across the health, food, education and agriculture professions. There were culinary student programs encouraging the development of innovative food products. Working with the Alberta Culinary Tourism Alliance, two days were spent in the field with chefs from across the province, showing them where pulse crops are grown and how they are processed. And the final event was the Alberta Pulse Showcase held in late November at the Food Processing Development Centre in Leduc, which provided an opportunity for food scientists to showcase innovative new food products they developed, all using pulse crop ingredients. So will all the promotion and interest raised by IYP have a benefit for producers? 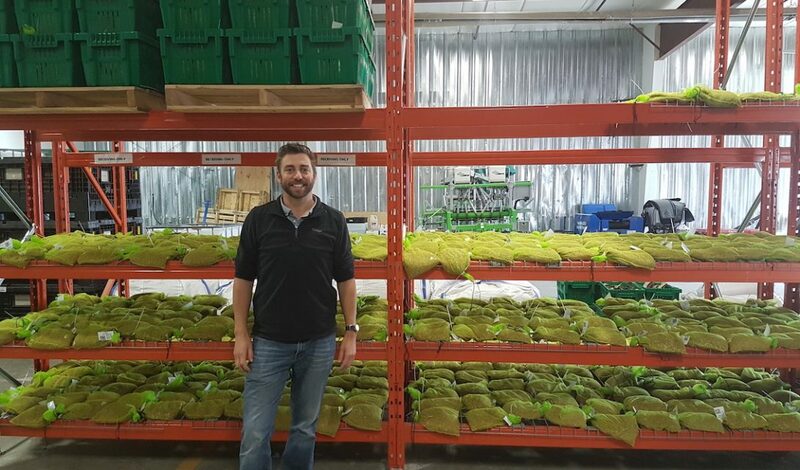 As a pulse grower near Sylvan Lake, Alta., Allison Ammeter for one is convinced the year will have a long-lasting impact on the growth of the pulse industry. 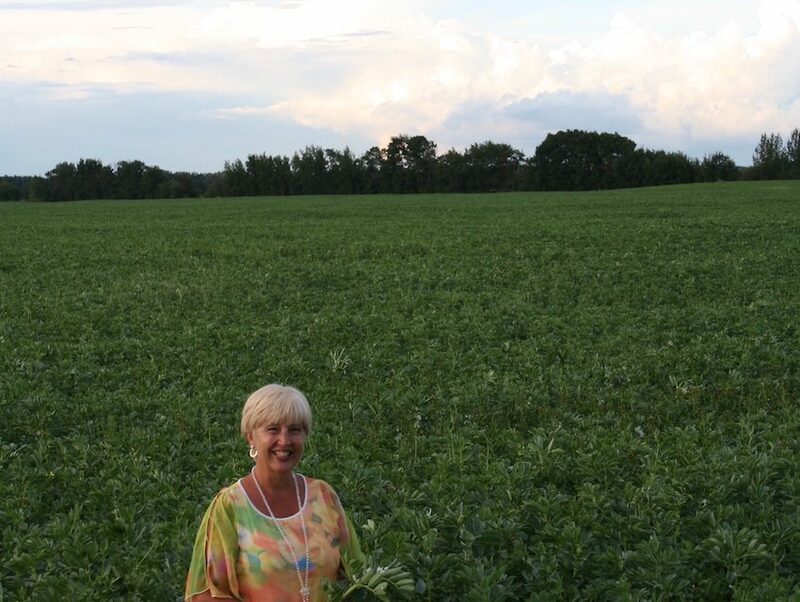 Along with producing the crop, she is also chair of the Alberta Pulse Growers and, since 2014, she has served as the chair of the group of committees responsible for organizing the International Year of the Pulse activities in Canada. With about 2.4 million acres of pulse production in 2016, Alberta has seen a phenomenal growth in pulse acres over the past 10 years, but Ammeter says more gains can be made. “Our goal as an association is to see one in every four fields planted to pulse crops,” she says. “Not just for the sake of growing more pulses, but we hope to show producers the economic and agronomic benefit of growing pulse crops. A proper rotation is good for soil health, and a rotation that includes pulses benefits other crops down the road. 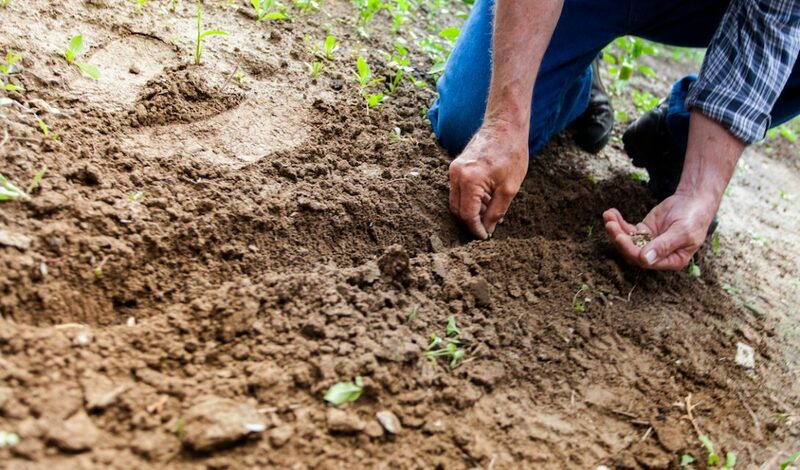 The Canadian Seed Trade Association (CSTA) has launched its Better Seed, Better Life program. Through Better Seed, Better Life, CSTA will engage in dialogue with Canadians on the role of seed as the foundation for food and drink, clothes and fuel. CSTA’s Better Seed, Better Life program is based on materials created by the American Seed Trade Association (ASTA) and is a collaborative effort of CSTA and ASTA. CSTA’s Better Seed, Better Life program launched on Feb. 16 with a fact sheet, The A to Z of Garden Seeds. This is the first of a series of fact sheets to be released over the next months, connecting the seeds produced by CSTA members and the crops grown from those seeds to the products used in everyday life. The fact sheets are available at cdnseed.org. Profiles of CSTA members and a video will be added over the year to complement the fact sheets. Grain is the lifeblood of most farming operations, and the need to grow more of it in response to world demand is good news for Canadian farmers. Unfortunately, this increase in production, handling and storage has been accompanied by a growing number of grain entrapments (workers becoming submerged in grain, which often leads to death by suffocation). 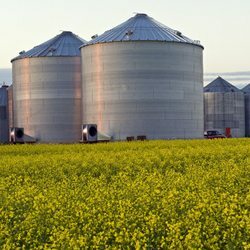 According to media reports, in 2015 alone, there were seven deaths and two injuries connected with grain across Canada. To put this in perspective, there were 17 deaths over the 23 years from 1990 to 2012. In the United States, extensive grain safety training is offered to producers, including training in grain extraction, confined spaces, grain dust, and lockout-tagout procedures (to ensure dangerous machines are shut off properly when not in use). But until now, programs like these have not existed in Canada. On-site training to provide prevention and emergency plan training to workplaces. The “BeGrainSafe” program includes a trade show component designed to demonstrate grain entrapment and communicate the hazards of confined spaces and mechanical dangers. It also offers interactive table-top displays to engage youth (and their parents). The program will be supported by a microsite with an online calendar, information, learning materials and more. CASA launched the program in January 2017 at Manitoba Ag Days in Brandon. It will start in the three Prairie provinces and visit as many major farm shows over the course of the next few years as possible. CASA receives funding in part through the Fostering Business Development component of Growing Forward 2 , a federal, provincial, territorial initiative. Visit BeGrainSafe or contact CASA at [email protected]. Growing oats for the milling market shouldn’t be an afterthought. If you’re interested in producing oats for the milling market, CDC Ruffian and CS Camden aren’t the only two varieties on the market, but they are two newer milling oat varieties with the quality characteristics millers are looking for. And from a farmer perspective, they have good agronomic packages as well. Growing oats for the milling market ideally shouldn’t be an afterthought, says Terry Tyson with Grain Millers of Yorkton, Sask. The requirements for a milling oat probably aren’t quite as rigid as they are for producing malt barley, but there are similarities. 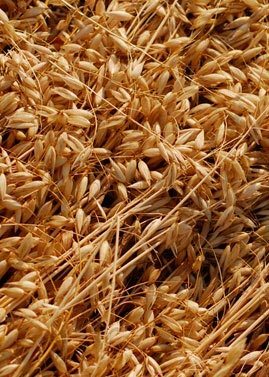 Requirements may vary by company, but Grain Millers, for example, is looking for oats with uniform, plump kernels, good bushel weight, good milling yield and quality characteristics that include high beta glucan and low oil content. Those quality characteristics are important for a grain that’s being processed for food product lines, which carry heart-healthy label claims. CS Camden, marketed by Canterra Seeds, and CDC Ruffian, marketed by FP Genetics, both deliver good milling characteristics and proper nutritionals, and in a third area which is equally important to millers as well as growers, they both have good agronomic packages. Developed in the Lantmannen SW Seed breeding program, CS Camden was registered in Canada in 2014. “It has an excellent fit for Western Canada,” says Brent Derkatch, director, operations and business development with Canterra Seeds. “The variety is agronomically superior, with a shorter stature and better lodging resistance.” And it is a higher yielder as well, with field trials showing an average 114 per cent yield compared to CDC Dancer in Saskatchewan, and achieving a 153 bushel/acre yields in Manitoba. CDC Ruffian was developed at the University of Saskatchewan’s Crop Development Centre with the first Certified seed available to farmers in 2016. The initial work on the variety was started by the now-retired plant breeder Brian Rossnagel, and later transferred to oat and barley breeder Aaron Beattie. “It is a variety that is just being introduced to farmers, but it has shown very well in performance trials, “ says Ron Weik, seed portfolio manager, FP Genetics. “ CDC Ruffian offers excellent yield potential that is 10 per cent higher than CDC Dancer in Alberta and 12 per cent higher in Saskatchewan.” The variety also has a very good agronomic and disease package, ideal for production outside of the crown rust areas on the Prairies. At the University of Saskatchewan, Beattie says he’s always watching for new varieties with improved agronomic and milling characteristics. About 90 per cent of resources of their oat breeding program is devoted to milling oats. “We always have to keep both farmers and millers in mind as we look at variety development,” says Beattie. To meet farmer interests, he’s looking for features such as higher yield, improved straw strength and “reasonable” maturity to suit Prairie growing conditions. And disease resistance can also be a concern, depending on different areas of the prairies. On the milling side, he is looking for varieties with features such as white hulled, low hull percentage, high kernel plumpness and good test weight. Also, to meet milling and end-use requirements, oil content has to be below eight per cent and beta glucan levels a minimum of 4.5 per cent and preferably higher. Although protein content hasn’t been a big concern in oats, some millers are now looking for higher protein varieties. As a company always interested in good quality milling oats, Grain Miller’s Tyson encourages growers to follow proper production practices. “Oats have been treated in two ways over the years,” says Tyson. “We have some growers who really pay attention to producing good quality oats and really treat it as cash crop. And there are some producers who, depending on the year, may make it a last minute decision. “But we always encourage growers to use good quality pedigree seed, select clean fields that are free of wild oats and apply proper fertility.” He says oats need, on average, about 100 lbs of actual available nitrogen per acre, which may mean adding 40 to 60 lbs of nitrogen along with phosphorus, at time of seeding. Soil test results will provide specific recommendations. Variety selection is also important – grow what the miller wants. Grain Millers, for example, has a variety list for growers that includes seven “recommended” varieties (including CS Camden and CDC Ruffian), along with seven other “acceptable” varieties. They also included a list of prohibited varieties – they aren’t interested in feed, hull-less and forage type varieties. Grain Millers offers production contracts to growers, including many long-time suppliers, but is always interested in talking to new suppliers as well. The company is just building a new elevator and office in Rycroft, in Alberta’s Peace River region, to expand its oat collection area. Last summer, an exciting new research and breeding partnership between Canterra Seeds and Limagrain was announced. 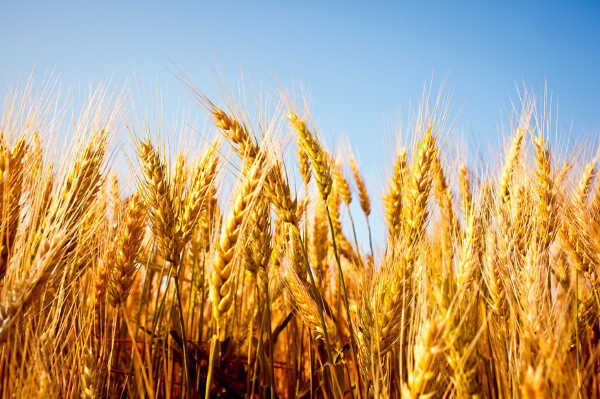 The partnership, called Limagrain Cereals Research Canada (LCRC), aims to keep wheat genetics at the forefront in Western Canada. It’s located in Saskatoon. 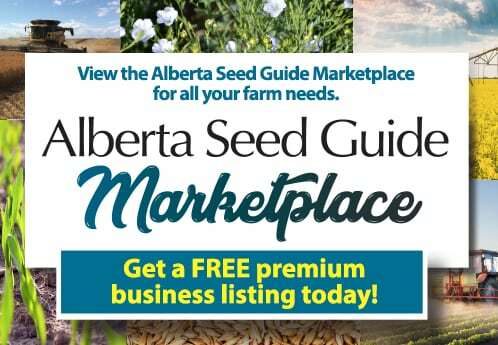 Canterra Seeds is owned by western Canadian seed growers and agricultural retailers. France-based Limagrain is the fourth-largest seed company in the world (field crops and vegetable seeds), the European leader for functional flours and the primary industrial bakery in France. 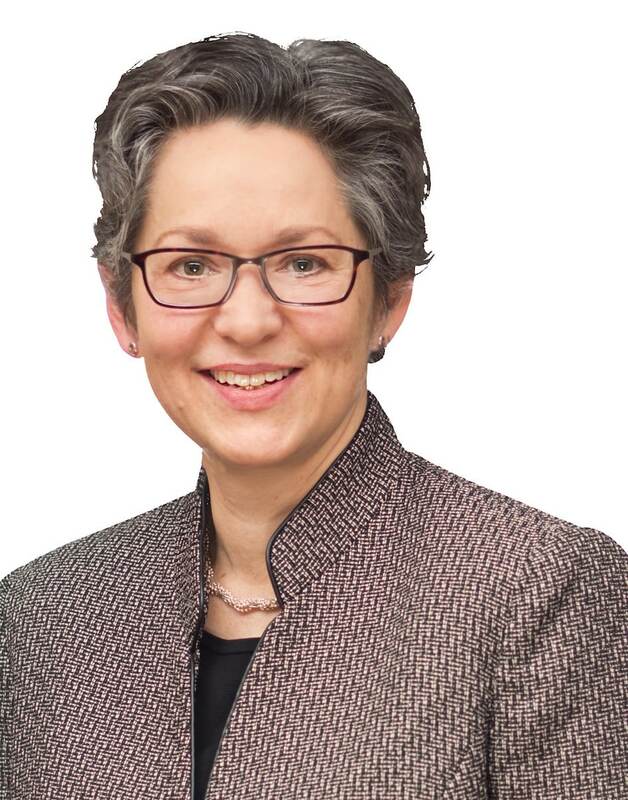 We asked LCRC CEO Erin Armstrong about the importance of the partnership for the breeding and development of cereals in Canada, and what impact it will have on the number of and quality of varieties available to growers over the next five to 20 years. She first notes that LCRC senior breeder Jason Reinheimer joined the company in February 2016, and additional staff came on board in April and August. “Over the next several years the LCRC team will grow as the program becomes fully established,” she says. “We are building on work done at Canterra Seeds that started in 2012 and involved screening material from existing Limagrain wheat breeding programs. Armstrong is clear that the 2015 update to the federal Plant Breeders’ Rights Act, which brought Canadian plant breeding regulations in line with the current Convention of the International Union for Protection of New Varieties of Plants (UPOV), was “critical” to LCRC’s launch. There was considerable effort throughout the entire value chain to support an update to the Act, Armstrong explains, including the seed industry as well as Partners in Innovation, a group of grower organizations that supported enhancing Canada’s ability to attract investment with a goal to increased innovation. Armstrong adds that Hayley Butler, LCRC’s quality lab manager, is a member of the Prairie Recommending Committee for Wheat, Rye and Triticale quality evaluation team, and is fully familiar with the quality testing requirements for the Canadian variety registration system. LCRC’s initial focus is to develop broadly-adapted, disease-resistant and high-quality spring wheat varieties specifically for Western Canada. We asked Reinheimer for details on how this will work. Reinheimer adds while the wheat evaluation network will primarily be managed by LCRC’s breeding team, it will also include collaborative testing opportunities with government and universities. The wheat breeding material LCRC is utilizing in Canada has been accessed from Limagrain’s international breeding germplasm inventory. 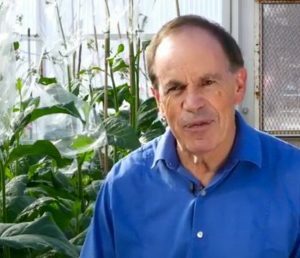 Reinheimer says he and the rest of the LCRC breeding team will also be taking advantage of new plant breeding technologies that have been developed over the past decade. LCRC plans to broaden its crop type portfolio in the near future. Reinheimer says durum wheat, barley and winter wheat are currently on the radar. For her part, Armstrong says it was an honour to be asked to be LCRC CEO. “While I’ve run an organization before, this is the first time I’ve had the chance to build something from the ground up,” she says. “Working with my colleagues Dr. Jim Peterson (research director), Sebastien Benon (CEO of the business unit into which LCRC fits) and with the board of directors is a real pleasure. I can’t believe it’s already been a year and a half since we started with our blank piece of paper. Once Jason came on board, things really moved forward quickly. “We are all committed to having LCRC become an established provider of new cereal varieties for Western Canadian farmers and to contributing to innovation within our sector,” she adds. 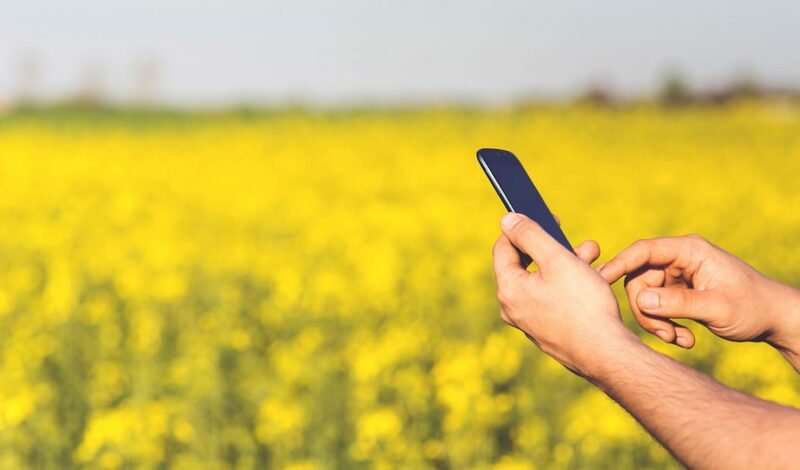 Farmers are encouraged to take part in an on-line survey on precision agriculture to help advance innovation in Canadian farming. The survey will take place between Jan. 9 and Mar. 4, 2017, and will examine the use of precision agriculture in Western Canada. Precision agriculture (PA) is a term used to encompass a range of devices to collect agriculture information and the geospatial tools to enable site specific management of food production. There are many definitions of precision agriculture (PA) which are often influenced by the specific equipment or management system being referenced. According to Dale Steele, who has been commissioned by Agriculture and Agri-Food Canada to conduct the survey, the research gleaned will determine the various levels of adoption for precision agriculture technologies throughout the Prairies, how Canadian producers compare with key competitors in similar jurisdictions, and the various factors that create barriers to adoption. 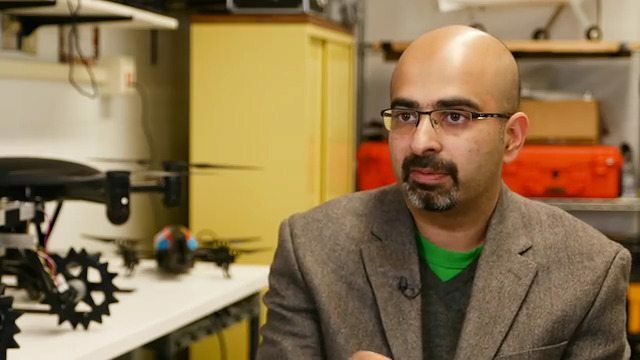 The survey will look at the precision agriculture tools being adopted in Western Canada and identify the barriers to technology and innovation that farmers face across the Prairies. 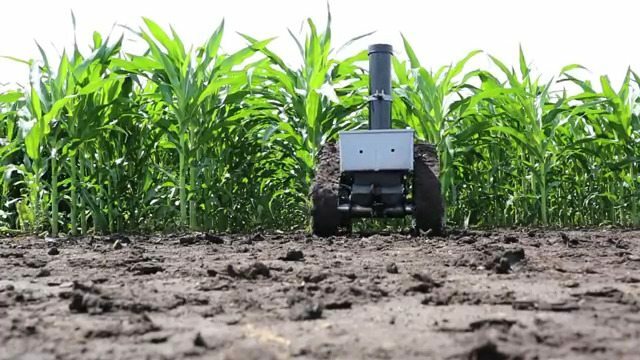 Farmers are asked to include the various tools and technologies they currently use and are considering using in 2017. A similar survey was recently conducted in other regions of Canada. Summary results will be available in April 2017, and shared with western Canadian grower associations, industry stakeholders and farm media.